Apple Computer's release of your basic Crowther & Woods clone. 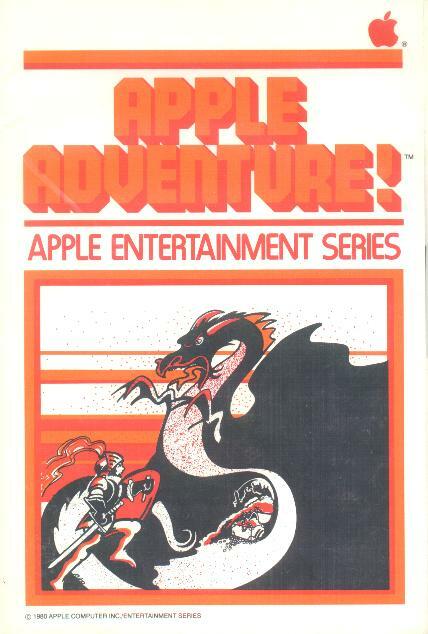 One of the earliest disk-based games for the Apple II series (the date on mine is 1980). Multiple package variations exist -- I've seen a version in the standard Apple II "Diskware" package in addition to this one. If anyone has another incarnation, I'd appreciate a scan of the cover.